Our extensive indoor-outdoor amenity collection offers space for fitness, fun and total relaxation. Two clubhouses, two landscaped courtyards, and the gorgeous rooftop deck are casual, comfortable and sophisticated – just like the neighborhood that inspired them. We Love Pets! 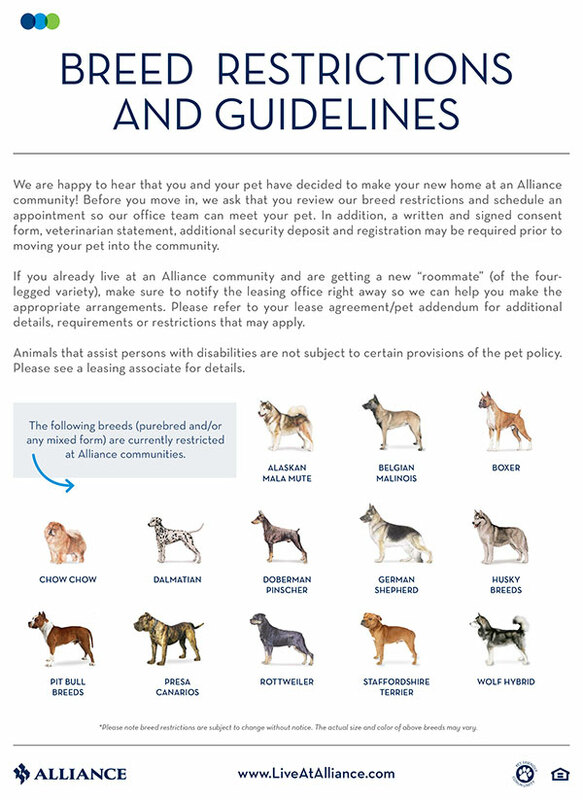 * Please review our pet policy.